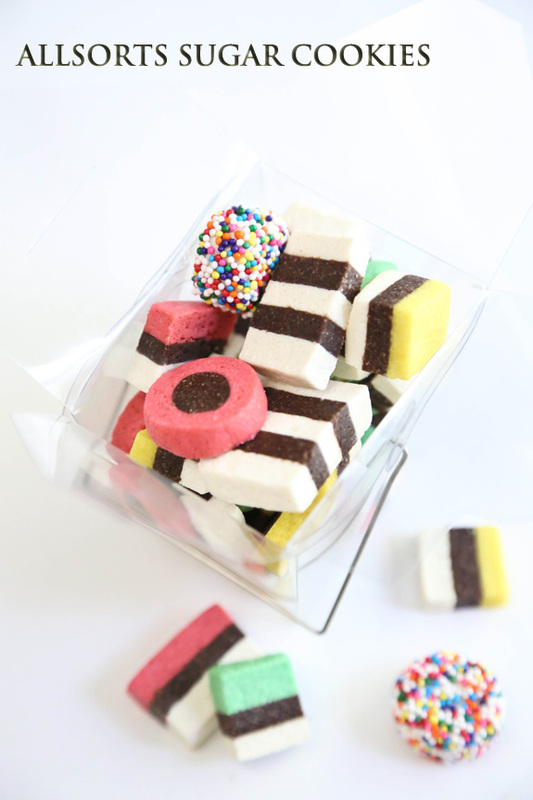 I guess by now you know I'm absolutely crazy about Allsorts candies. 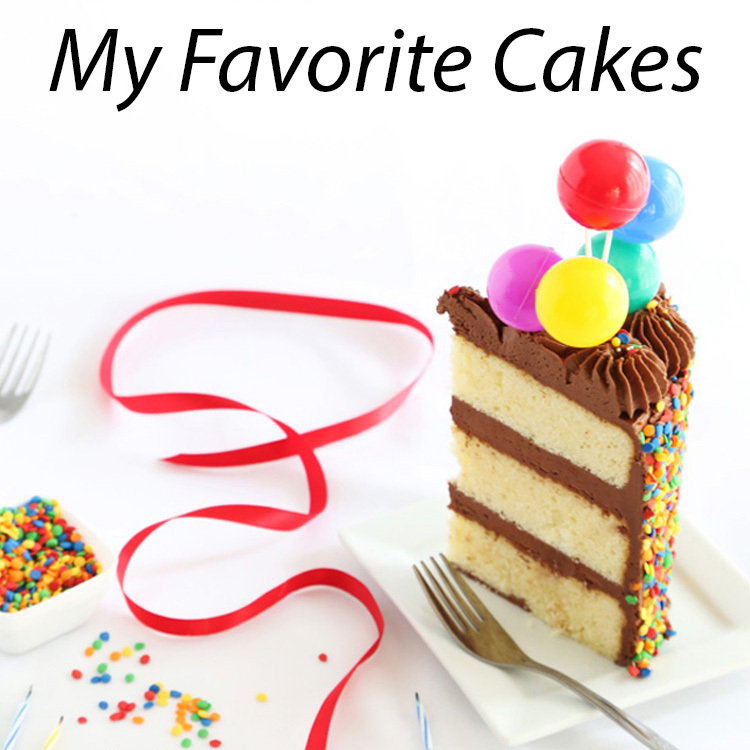 I used them as a colorful topping for this cake when I celebrated my first year of blogging, and then recently on top of these mini cakes. 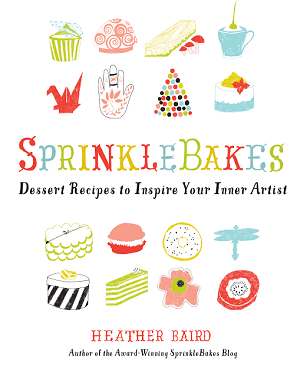 I love their stripey graphic appeal and they're so full of happy color, I feel I should designate them as the new Sprinkle Bakes mascot. I came up with the idea for these sugar cookies when I was developing an all-in-one cookie dough recipe for an upcoming holiday project. I started playing around with layering techniques and ended up with a stacked, stripey, slice-and-bake chocolate and vanilla dough. Just a trim here and a slice there - voila! An Allsorts twin! These are pretty simple to make, and most of the real labor is in dividing and coloring the dough. At the end you'll probably have 12+ dozen bite-size cookies. That sounds like a lot but since the cookies are so small they don't take too much time to bake. You can also fit about 50 on a standard baking sheet. At first I cut the stacked dough into squares. Some cookies baked up fine, others wilted and leaned sideways. I cut them a little thinner and discovered they turn out best when cut to 1/4-inch width (as above). I tinted the white portion of dough with white liquid food color which you can find here . You could also leave the dough untinted. It will still have a nice contrast without white food color. If you'd like these to have an authentic Allsorts flavor, add a few drops of anise oil to the batter. 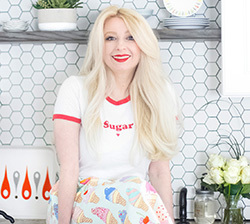 If you're not a fan of licorice flavor then stay the normal sugar cookie course with vanilla extract. I used the sugar cookie dough recipes from the SprinkleBakes cookbook for these cookies. The white portion is the vanilla dough (or anise if you prefer), and the black stripe is the chocolate dough variation. I knew that without any chemical leaven it would hold it's shape well during baking, especially when chilled beforehand. I did change one thing though. I swapped the all-purpose flour for bread flour. Sometimes cookies will spread if over-beaten, and with all the mixing-in of food color in this recipe, the bread flour held it's shape best during baking. It also makes these little buttery morsels chewy, which is quite appropriate. I think. Yield: I lost count. At least 12 dozen. Probably more. In a stand mixer fitted with the paddle attachment, mix the butter and sugar together until just incorporated. Add the egg and vanilla extract (or anise oil). Mix again on low speed, stopping to scrape down the sides of the bowl intermittently as needed. In a medium bowl, whisk together the bread flour and salt. Add to the butter and egg mixture. Mix on low speed until a dough is formed and there are no longer any streaks of butter in the mixing bowl. The dough will clump around the paddle attachment while being mixed. If your mixture does not come together and is crumbly, add ice cold water 1 tbsp. at a time until the dough clumps. 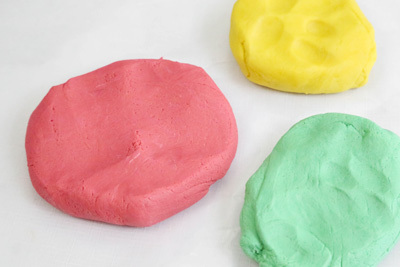 Divide and tint dough with a few drops of food color into the following colors - green, pink, yellow. If using the white food color, place a 10 oz. portion of dough (about 1 cup) into the mixing bowl with 2 tablespoons of the white color. Mix well; add additional bread flour 1 tablespoon at a time until dough is stiff and not sticky. You may choose to leave the white portion untinted if desired. Turn out each dough onto a sheet of wax paper and top with a second sheet. Roll dough into an oblong disc between the papers with a rolling pin. Transfer dough - wax paper and all - to a large cookie sheet. Wrap the dough tightly onto the cookie sheet with plastic wrap and refrigerate for 1 hour. Make the chocolate dough variation. Repeat all recipe ingredients except replace 1 cup bread flour with 1 cup unsweetened cocoa powder. Omit dividing/tinting instructions for this dough. Continue with rolling/chilling instructions as before. Remove top sheet of wax paper from the chilled dough(s) and roll each dough a little thinner. It should not be sticky. Roll dough to approximately ¼-inch thickness. 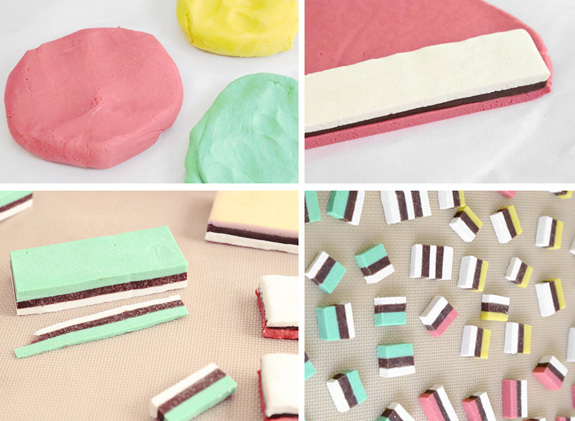 To stack dough into Allsorts colors, cut a strait edge on one of the tinted doughs (green, yellow, pink). Cut a 3-inch wide long strip of chocolate dough, place on top of the tinted dough with the strait edges lining up evenly. Top with a same-size length of white (or plain) dough (see picture below). Trim away excess tinted dough and place stacked strip on a parchment or Silpat-lined baking sheet. Repeat stacking with remaining dough colors. We'll be freezing these, so make room in your freezer for a cookie sheet or two. 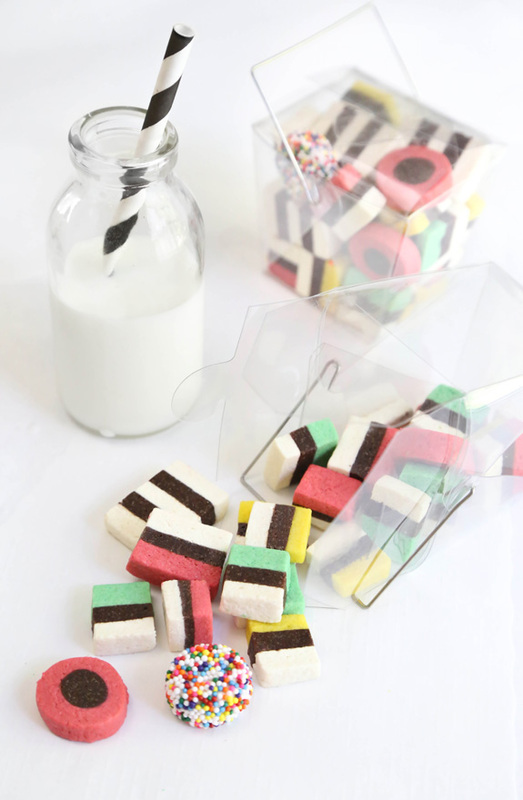 To make the round Allsorts, take a scrap piece of chocolate dough and roll into a long rope. 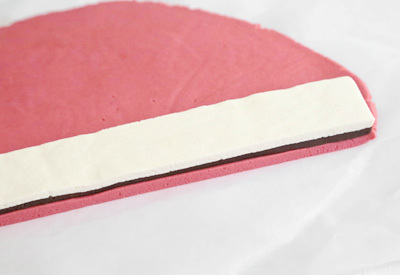 Place onto a piece of pink dough that has been rolled to 1/4-inch thickness. Roll pink dough around chocolate rope. Trim away excess pink dough. Place roll on the lined baking sheet with the other stacks of dough. 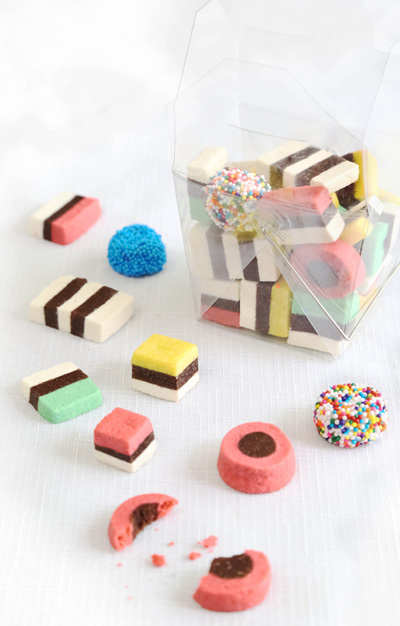 For the nonpareil covered Allsorts, make a long rope of any leftover dough and cut into round buttons. Place these on a baking sheet. Place all dough stacks, rounds and buttons on the cookie sheet(s) in the freezer for 30 minutes or until very firm. When dough is chilled, cut stacks with a sharp non-serrated knife into 1x1/2-inch pieces with a thickness of 1/4-inch. This doesn't have to be perfect, and you can make cookies bigger or smaller to your liking - have fun with it! Cut the pink roll into coins 1/4 to 1/2-inch thickness. Freeze the cut pieces for 30 minutes. This will help the cookies maintain a crisp shape during baking. Bake the cookies for about 8 minutes. Do not overcook, they should stay pale to keep their vibrant colors. Let cool on the baking sheet for 5 minutes. Transfer to a cooling rack. Roll plain buttons in corn syrup and then in nonpareils. Allow nonpareil-covered cookies to dry/set for 30 minutes. Package cookies in cellophane goodie bags or other clear packaging. Love this! How unique is this idea! 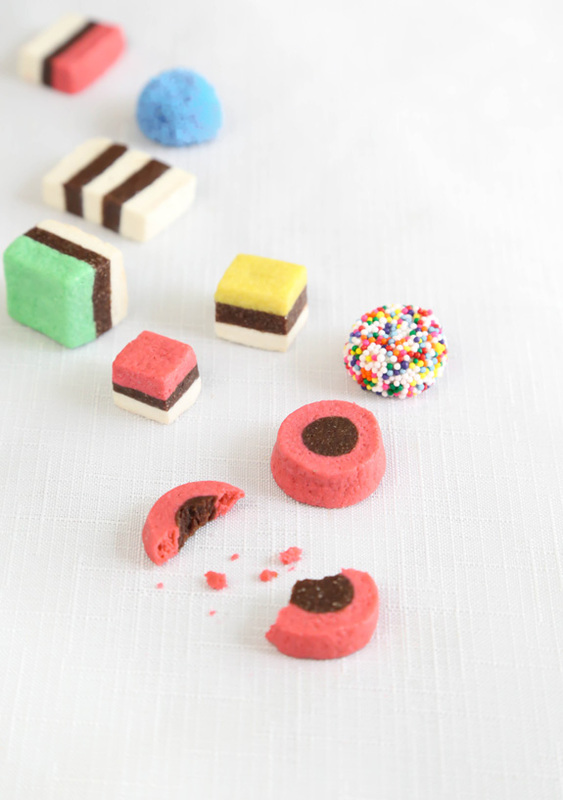 I am amazed how people do not like these candies but at least I can recreate them in little biscuits. OMG. These are absolutely beautiful and lovely! Well done! They look so much like the candy! So pretty! Those cookies bring back memories of England. Brilliant to swap for bread flour. Well done! I love the possibilities of using any color that strikes your fancy! Swoon! How cute are these?! Adorable and the styling is fantastic! Love! OMG they look like that candy that is amazing! You are amazing! Your creativity amazes me. When I first saw the photo, I thought they were candy that you were going to use in something baked. What a surprise! These are adorable :) LOVE your book. 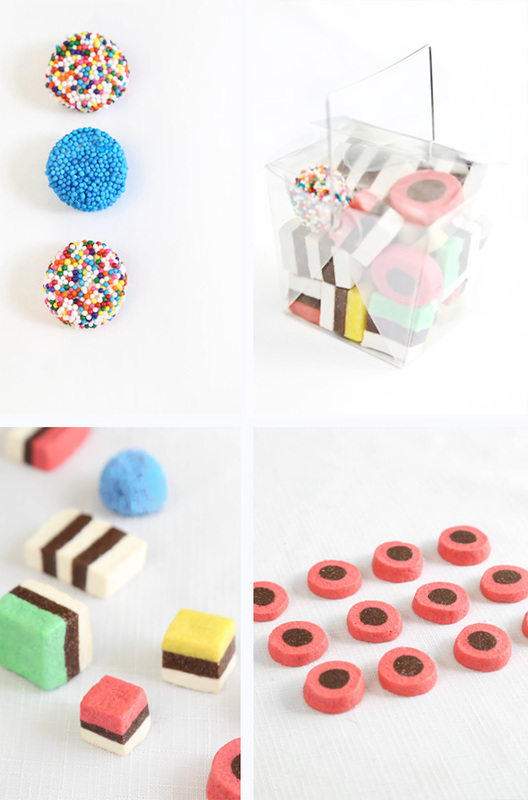 Wow, when I looked at the first picture I thought, 'nice Allsorts, now where are the cookies?' Awesome! My mom and I are both huge fans of Allsorts. These cookies would make such a fun gift for her. Thanks for the idea! "I swapped the all-purpose flour for bread flour. Sometimes cookies will spread if over-beaten, and with all the mixing-in of food color in this recipe, the bread flour held it's shape best during baking. " Love these! I love licorice allsorts too! Such great colour you get! The contrast with black and white is lovely. Interesting to use bread flour also! Clever! 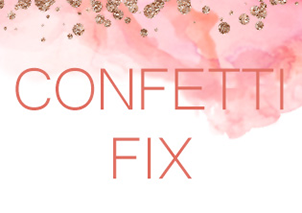 Who doesn't love happy candy? You are a genius! Love these cookies! Seriously, some of the cutest cookies I have ever seen. Mine and my bestie's favorite candy! Going to make these for her birthday as a little surprise. Very clever! Beautiful and delicious cookies, I love. Congratulations. I put a link of which I did in 2012, if you want to see. A greeting and thank you very much. Such cute and adorable cookies!!! 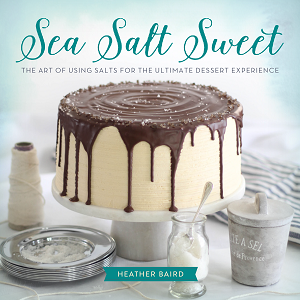 these are off the hook awesome!you are so brilliant Heather! Yup these are totally adorable. I love allsorts, although not the sprinkly ones so much. I'm thinking your cookie version would be a great solution. Oh my word, these are just beautiful!! Wow...super delicious!! I'm a New Follower!! We were really lovely. Me too I like making cookies. I did the same idea last year but with natural licorice. The cookies look so realistic, when I was looking at the picture, I kept scrolling down looking for the cookies, because I thought that the cookies were actually candy. how long do these stay fresh? Could I freeze the dough and bake when ready? or freeze the pre-baked cookies? Thanks, they look delightful! Yes, these freeze well! I'd say they'd be okay up to two weeks in the freezer if stored wrapped in plastic and placed in a freezer bag. I baked these! So cute! But its so doughy after baking ... is it supposed to be like that? They shouldn't be very doughy. It sounds like they could have been baked a little bit longer. Next time leave them in for an extra 3-ish minutes. These are beautiful! When you say roll them in corn syrup (for the non-parreils), do you mean dip them? How much corn syrup on the cookies would be too much? I can't get over that you turned those candies into cookies!! 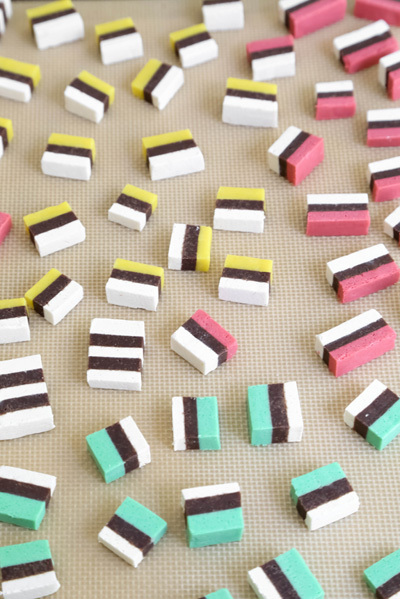 I always think of you when I see Allsorts candies. Too cool! i just want to put up one question or can be said as a request,please please provide an alternative for eggs, as my boyfriend is allergic to eggs. 6-year-old Milly says "I really really like your biscuits and I really really want to make them now!" These are just amazing!!!! How cute are they! These look great! The colour contrast is awesome. It's a messy business getting those nonpareils on! I painted a coating on with a little paint brush then rolled them in the sprinkles. It takes a bit of experimenting to get the right amount - too little and they don't stick, too much and they slide right off. Thank you! I'll be sure to try that next time. I actually wound up making another whole batch because my family ate so many of the original ones over the week! And i got your book while we were out black Friday shopping yesterday, (but mom won't let me have it until Christmas!) I'm really excited, baking is my escape from my every day life of being an Electrical Engineering student. Thanks for having such great recipes all the time! These look fabulous... Could I make these using regular or all purpose flour?? These are inspiring! I've been looking for something fun to get out of the baking rut and these might just do the trick. Thanks for sharing!